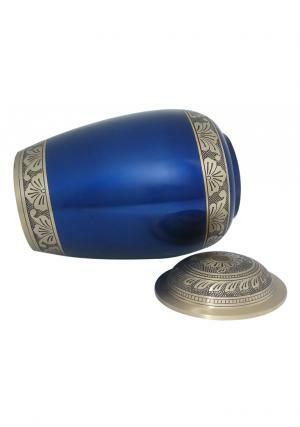 Flower Engraved Blue Memorial Adult Cremation Urn is made of high quality brass metal in the form of solid Brass urn. 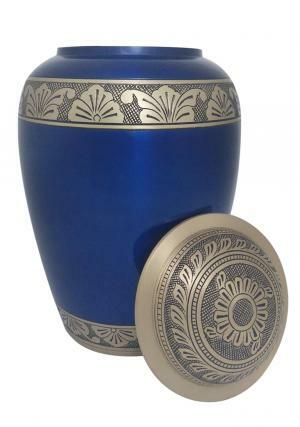 Blue brass funeral adult urn is banded in brushed gold with decorated encryption of hand made flowers. 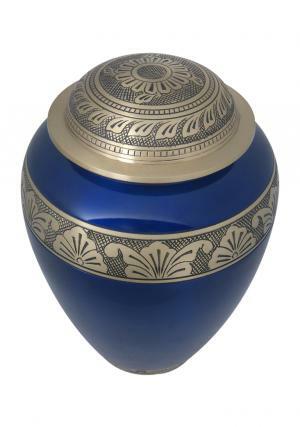 The Beautiful Blue brass memorial urn is intricately hand designed from skilled artisans with a smooth finish. 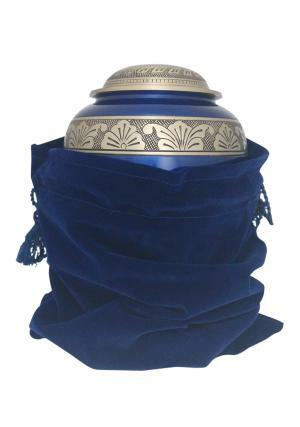 The lid of the urn is decorated in brushed gold with engravings of flowers and screw threading. 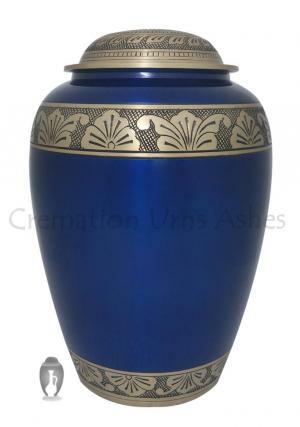 The screw threading is used to secure the ashes of the loved one’s from the top. 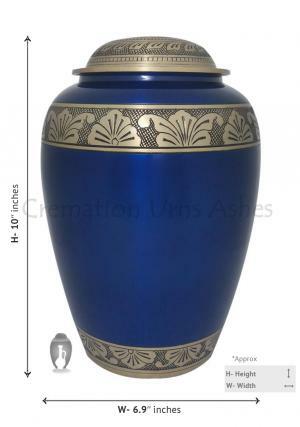 The Dimensions of the Adult Brass cremation urn are 10 inch in height, 6.9 inch in width and 2.12 kg in weight. Sufficient enough to hold an approximate 200 cubic inch of adult ashes.